Pauly D Slams Aubrey For The Biggest Lie! What's That? Pauly D Slams Aubrey For The Biggest Lie! What’s That? The ex-couple in Marriage Boot Camp! The things happened on MBC! Their Marriage boot camp started. But the boot camp didn’t seem to be helpful for them! Well once, Aubrey reveals that she had s#x with Pauly D on the plane. Well, that’s disgusting! You don’t need to blossom your love on the plane! At least use the plane washroom, that’s better than doing in front of the stranger! The Prankster shared his life story! The joyous Jersey Shore star sometimes breaks down and this was the moment! He shares the story of his best friend. He says, “I [saw] the look at his father’s face, his mother’s face – white. I had never experienced a loss like that. I have this sense of, not being there for somebody I love. That’s one of the biggest fears I have to this day,” he told on the show! But Aubrey changes the reaction of Pauly! it was Aubrey’s chance to tell her story. She says “The things I remember … she locked me out of the house for a couple days and I just begged her to let me back in. it’s the same f***ing thing Pauly does to me.” This completely changed his reaction from emotional to a disgusted look. October 26 episode of MBC clearly showed that they would end up their relationship immediately. Well, the tension between the two was overwhelming for the fans! But what happened? Pauly D Yells on Aubrey! Why? 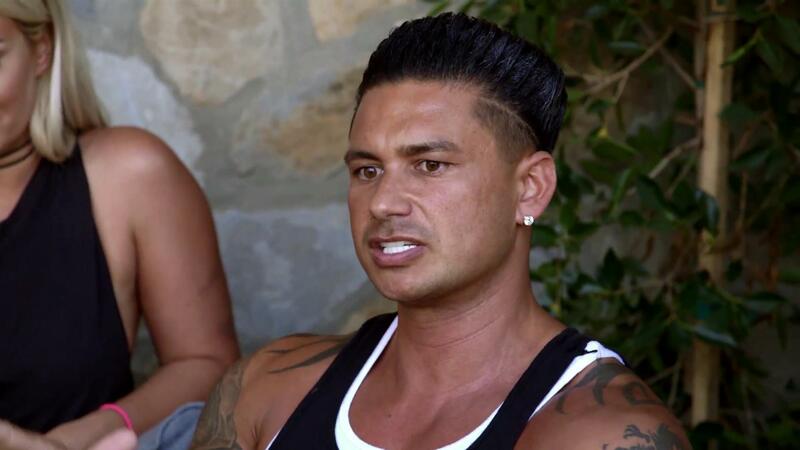 The biggest lie was a disconnect for Pauly D! Aubrey was defending her self by, “At the end of the day, I know how honest I’m being here,”. But it was the biggest lie for him because the word honest for Aubrey seemed disgusting for Pauly D. For that, Pauly D fired back by, “That’s where we have the disconnect. You’re reality is not my reality.” If you remember once Pauly D said “act right” to get the ring back! I think this is the end of their relationship! What do you think?